You probably come to Fort Collins for the beer. Now you'll want to come for beer stories in a reading from Fort Collins Brewery's marketing guy and book editor/author Charles Drew Stanley. Check out his press release below and come listen to some beer-centric stories at the Old Town Book Fair in Fort Collins, CO.
[PRESS RELEASE] June 27, 2013 - Among the many talented local authors to be featured at the Old Town Book Fair on Saturday, June 29th is newcomer is Charles Drew Stanley, editor and contributing author of A Six Pack of Stories. 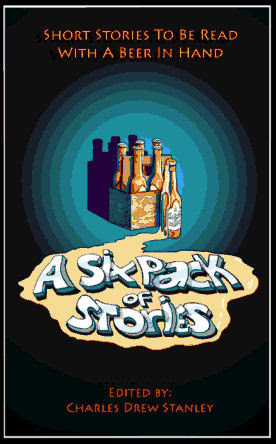 A Six Pack of Stories is a collection of short beer-centric fiction from writers across the US and Europe that together tell the tale of the world’s (or at least Colorado’s) favorite beverage. Stanley independently published it in late 2012 as a means of combining his two great passions, beer and creative writing. In early 2012, Stanley put out the call for short fiction of all genres, the only qualification being that it had to be beer-centric. The result is a mixed-genre collection of 24 (incidentally, the number of beer bottles in a case) stylistically diverse stories. Stanley will speak with beer and literature lovers at this Saturday’s Old Town Book Fair from 2-4pm in the FCB Local Author Tent. Copies of A Six Pack of Stories will be available for $10. Those who cannot attend the Old Town Book Fair can purchase A Six Pack of Stories in paperback at Wolverine Farm Bookstore and in paperback and Kindle format from Amazon.com.